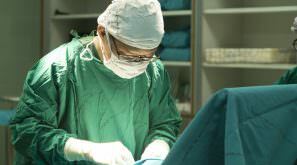 One surgery can make a big difference in a child’s life. Your help means the world to someone. 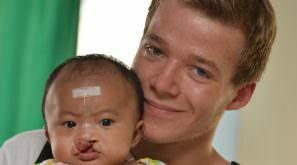 One of every 700 newborn babies is born with a cleft. Your help is their hope. Let’s help more kids smile. You are the one who can. A corrective surgery has an immense impact on the child’s health and ability to thrive in life. We help unprivileged children in Southeast Asia. run and initiated by children and youth, with the help of adults. 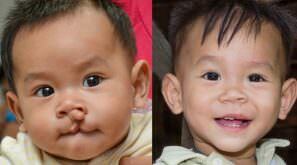 We help provide surgeries for children born with cleft lip, cleft palate and other facial deformities. The next mission will be at Pyin Oo Lwin Hospital close to Mandalay in Myanmar. This is the 18th time KAFK will help fund an Operation Smile Thailand mission. Another 100 children will receive cleft lip/palate surgery at the ongoing medical mission at Maharat Nakhon Ratchasima Hospital in Korat, Thailand. This is the 17th time KAFK has helped fund an OST mission. 138 children born with cleft lip and/or palate got their life-changing surgery at Pyin Oo Lwin Hospital in Myanmar in May 2018. 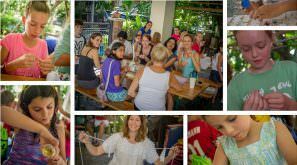 The surgeries were conducted by Operation Smile Thailand’s (OST) medical volunteers and funded by Kids Action for Kids and other OST sponsors. The 3rd medical mission in Myanmar is coming up! 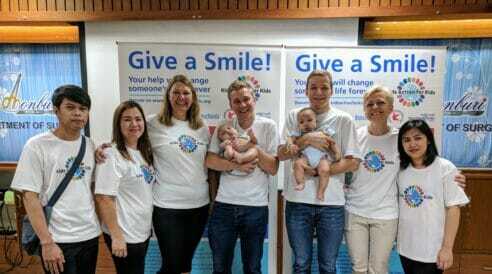 May 6th we will once again head to Pyin Oo Lwin, Myanmar with Operation Smile Thailand for another round of surgeries. We are happy to be back in Pyin Oo Lwin, as we know there is plenty of work to be done, and we are always excited at the opportunity of giving a chance to those who need it most. We want to take a moment to reflect on last year’s achievement of 185 surgeries; 85 in Pyin Oo Lwin, Myanmar, and 100 in Chonburi, Thailand). Are you wondering, who we are? 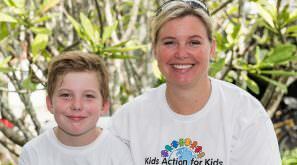 Kids Action for Kids was founded by seven family members in Norway to enable children help other children. Every donation will be matched by our partner, Benchachinda Group. Read why cleft condition possesses a serious threat to life and find other answers to our frequently asked questions here in FAQ. Learn about the medical missions Kids Action for Kids supports. There is a reason for more than a thousand new smiles. Wait no more. Find out how you can design a fundraising just right for you, and then dig into our Idea Bank. This place is full of fun ideas and step-by-step instructions for easy start. Haakon Brekke, one of the founding members, would like to extend his personal greetings to you. 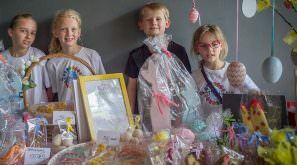 Learn more about what connects him to helping children in Southeast Asia. Ever wondered what it is in volunteering, supporting a charity organization that makes people want to take action? Find out here! Need logos, photos, illustrations or other materials? Kids Action for Kids Press kit can help you further. All promotional materials are now in in Newsroom!